Take a good look down the road. What do you notice? Most cars are usually silver, grey, or black and nothing special to look at. Even distinguishing between luxury brands like a Bentley or a Chrysler can be difficult because the exterior’s paint looks similar to others. If you want your car to make a statement or want to change up the look of your vehicle, take a look at these paint job ideas from our professional paint techs. The human eye is capable of perceiving millions of colors, shades, and hues yet most car manufacturers offer a maximum of five to ten different colors, and that’s if you are lucky. AF Collision can paint your vehicle any color you’d like. You don’t have to go crazy and dazzle your car with bright neon (unless that’s your thing, of course) but reach out into a broader spectrum of colors that better reflect your personal style. With the many color options available you don’t have to stop at one color. Think about it. Most people don’t paint their entire house the exact same color so why not take advantage of the same idea on your own vehicle. With two-tone, you truly are opening up to all kinds of options like stripes, an ombre effect, and more. Once you have selected the ideal color, then its time to consider the best way to finish your vehicle. When it comes to the finish, you have options. These days many people are opting for a matte finish which projects a more subdued vibe while others go with a pearl effect which is an extra coating that gives your car its own sheen. Another of the latest trends at car paint shops isn’t even exactly paint, but vinyl. With vinyl wrapping, you can wrap your whole vehicle to change up the color. There are many benefits to car wrapping which include protecting your car’s paint against scratches, small pebbles, and cracks. 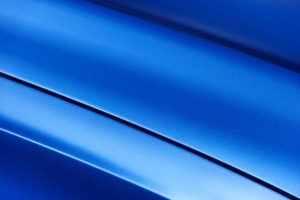 With vinyl wrapping, you can choose more than just the color, you can also pick the finish. There are hundreds of options that you can pick from. The best part about wrap, is that you don’t have to commit to a certain color. From these options, you can start moving onto even more specific ways to play with your car’s paint job. Each one of these options comes with their own levels of customization. What’s best is, your local custom auto body shop will have computer programs to help you visualize what a specific paint job might look like on your vehicle. It gives you so much more of an ability to choose to go bold, classic, simple or elegant. For example, you can go with a hard line two-tone effect that essentially maximizes contrasts while shading elements of the car creating what would appear to be a completely unique vehicle than what you actually own. Whatever you need in terms of auto customization, the AF Collision team can help you. Our team specializes in auto collision work and can fulfill any paint work you might need. Contact our professional auto repair shop, to learn more about our services.